Drummer Corey Jones, 31 was shot at six times, hit three times and killed by a police officer when his car stalled on a highway as he was returning home from a gig. Three bullets struck Mr. Jones, one of which entered his side, passed through his aorta, and lodged in his upper torso, another family lawyer, Daryl D. Parks, said. The other two bullets exited his body. His arm was broken. Police officer Raja was on duty in an unmarked police vehicle early Sunday morning, October 18, 2015, when he came across Corey Jones and his disabled car on the Interstate 95 southbound exit ramp at PGA Boulevard. According to police, Raja, who was in plain clothes, believed Jones’ vehicle was abandoned and stopped to investigate it. As Raja exited his vehicle, he was suddenly confronted by Jones whom he fatally shot. Jones' bandmate, Matthew Huntsberger, 34, met Jones at about 2:30 am on the exit ramp where Jones told him the car started having trouble while on Interstate 95, and then he pulled over to the nearest exit. He thought maybe the car needed oil, so Huntsberger got some for him. It didn’t help. Jones called for At&T Roadside Assistance, and Huntsberger decided because he couldn’t help he’d head home. "The City of Palm Beach Gardens has been cautiously and methodically considering the employment status of Officer Nouman Raja. Therefore, Officer Raja, a probationary employee with the City, has been terminated from employment effective Wednesday, November 11, 2015 at 5:00 PM," a statement from the police department on Thursday read. "The independent criminal investigation into the Officer-Involved Shooting that occurred on October 18, 2015 is ongoing and the City will continue to cooperate with all agencies involved." On April 20, 2016, it was reported that, an audio recording of the shooting of Corey Jones exists, and doesn’t match what the officer told investigators. The recording comes from an AT&T roadside assistance line that Jones called several times from inside his broken-down SUV in the early morning of Oct. 18 and lasts for 53 minutes from five minutes before Jones' death. Officer Raja told investigators that he shot Jones because the professional drummer, who by day was a housing manager for the Delray Beach Housing Authority, came at him with a gun. But prosecutors say they caught several inconsistencies in his statement, including the fact that Raja was overheard on a 911 call yelling at Jones to drop a gun when evidence in the case showed he had already fired the shot that killed Jones more than 30 seconds before he made the call. In a 60-page State Attorney’s Office report released January 17, 2016 prosecutors confirmed that Jones was already dead when Raja called, pretending to order him to drop his weapon. Officer Nouman Raja was terminated by the police department on Thursday, November 12, 2015 after the action was being approved late Tuesday by City Manager Ron Ferris and Police Chief Stephen Stepp, city records show. On Wednesday April 27, 2016, State Attorney Dave Aronberg announced that instead of charging Officer Raja via his office directly, a grand jury would make that decision after hearing evidence in the case. On June 1, 2016 Officer Nouman Raja was arrested and charged with manslaughter by culpable negligence and attempted murder with a firearm. 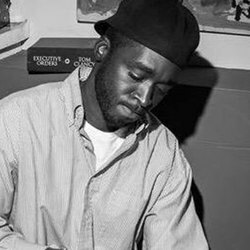 A federal judge agreed on Monday September 26, 2016 to postpone a wrongful death suit filed by Jones’ father, Clinton Jones, Sr. against Nouman Raja while the former Palm Beach Garden police officer faced criminal charges in the October shooting death of stranded motorist Corey Jones. U.S. District Magistrate Judge Patrick M. Hunt signed an order Monday granting attorney Oscar Marrero’s request to stay a lawsuit filed by Jones’ father, Clinton Jones, Sr., against Raja, who faces manslaughter by culpable negligence and attempted murder charges for shooting the 31-year-old during a roadside confrontation captured on a roadside assistance recorded line. On June 1, 2018, a judge ruled that Raja did not have a valid claim under Florida’s “stand your ground” self-defense law. Former police officer Nouman Raja is appealing of that ruling leans on a video of a shooting reenactment by investigators. On August 23, 2018, Former Palm Beach Gardens police Officer Nouman Raja’s “stand your ground” appeal in the fatal shooting of Corey Jones was denied by Florida’s 4th District Court of Appeal , according to court records. On August 31, 2018, prosecutors announced that jury selection for the trial of former Palm Beach Gardens police officer Nouman Raja, who is charged in the fatal shooting of Corey Jones, is set to begin Feb. 22. On February 26, 2019 after jury is selected, trial is set to begin. On MArch 6, 2019, Raja was found guilty of manslaughter and attempted murder, becoming the first officer in the state to be convicted of an on-duty shooting in 30 years. He faces a mandatory minimum of 25 years at sentencing April 26, and could spend his life in prison. At a rally on October 26, 2015, elected officials called for an independent investigation and police reform in light of the shooting of Jones. On October 31, 2015, hundreds gathered at a South Florida church to mourn Corey Jones, whose family said they were still trying to understand why he had been shot. The funeral for the 31-year-old was held Saturday at Payne Chapel AME in West Palm Beach. The nearly four-hour service included a speech by the Rev. Al Sharpton, who said he was working to ensure that Jones' death would be a catalyst for change.